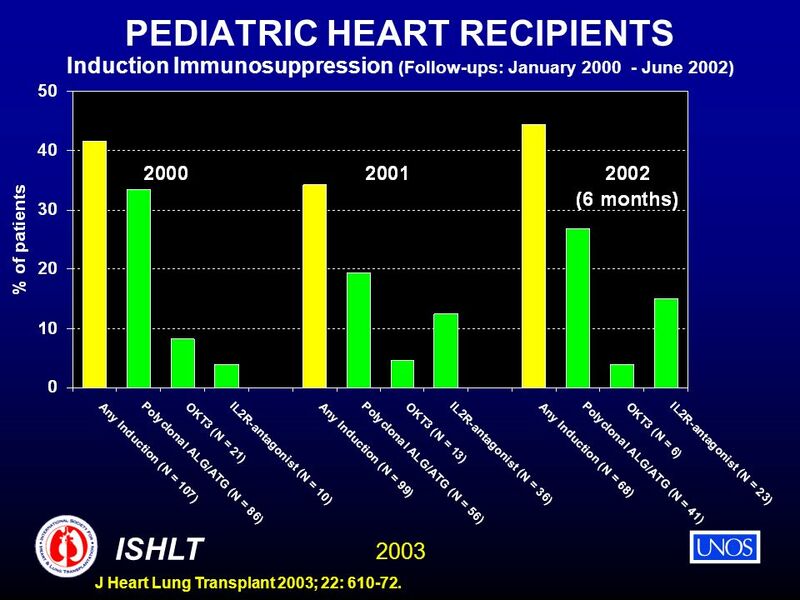 2003 ISHLT J Heart Lung Transplant 2003; 22: 610-72. 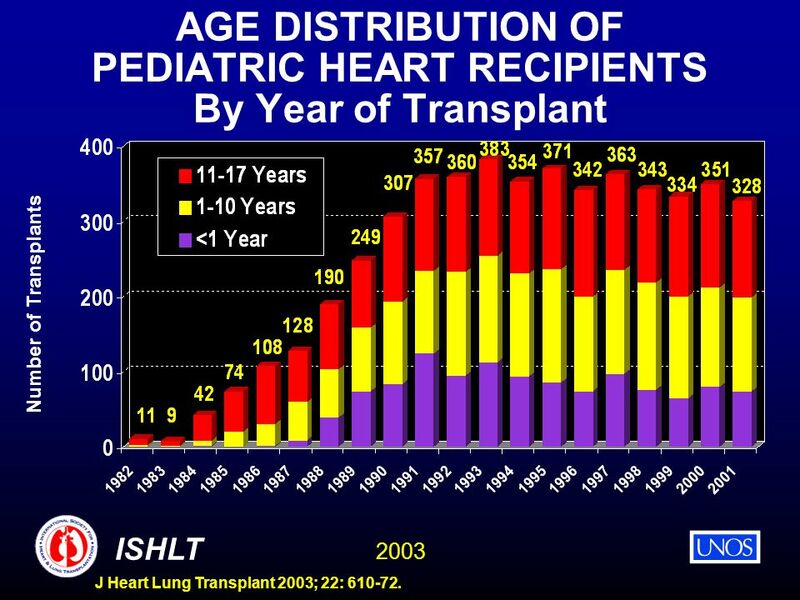 HEART TRANSPLANTATION Pediatric Recipients. 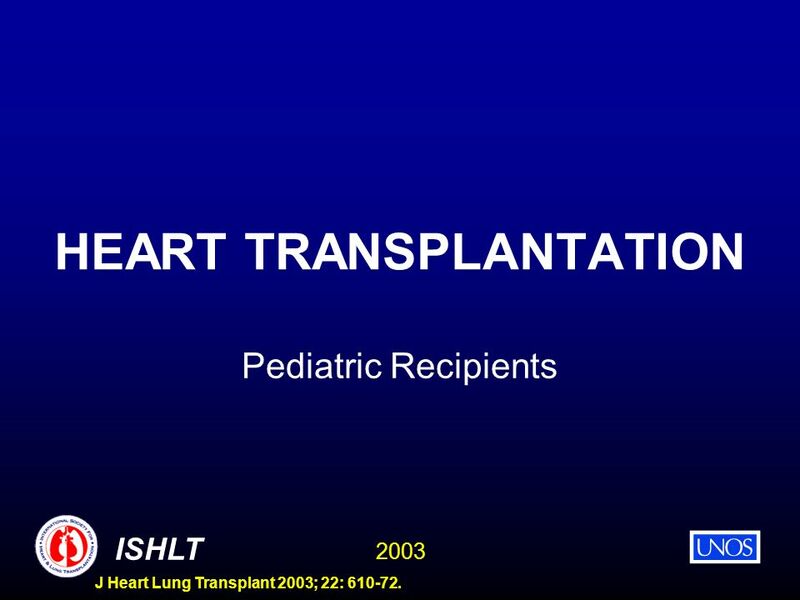 Download ppt "2003 ISHLT J Heart Lung Transplant 2003; 22: 610-72. 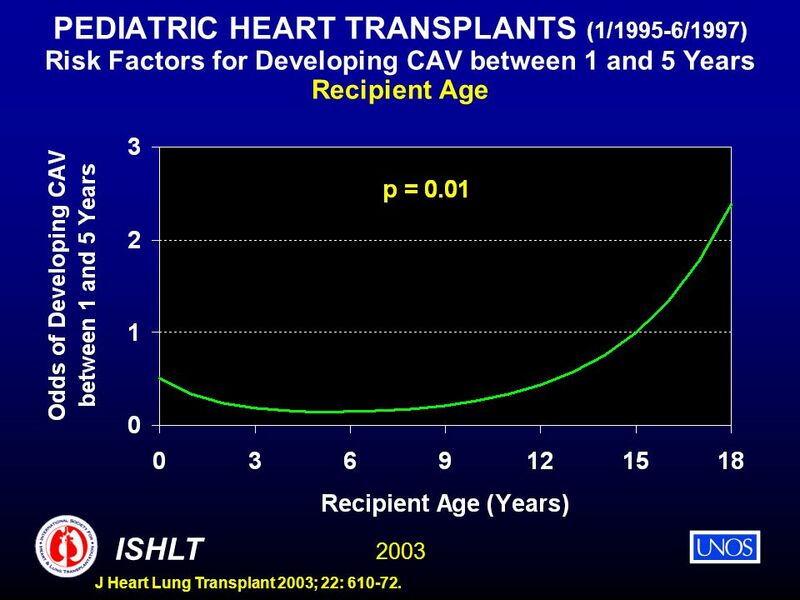 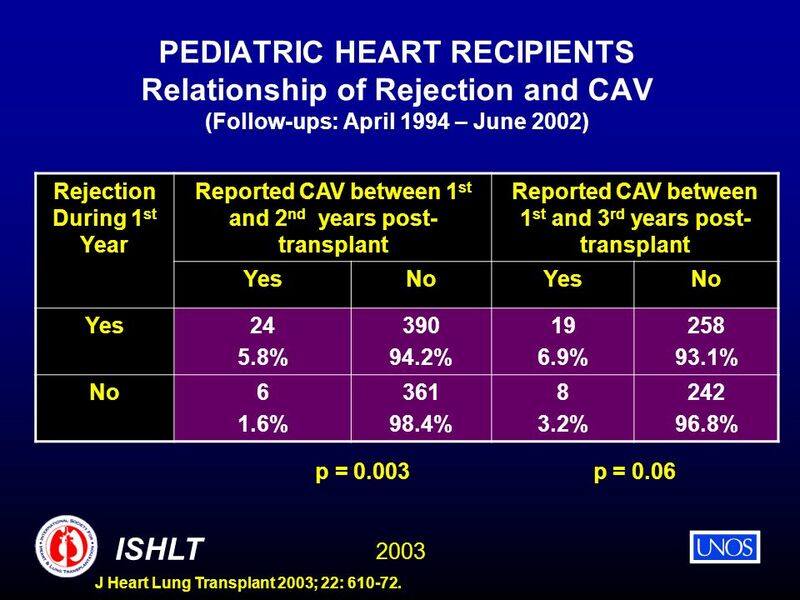 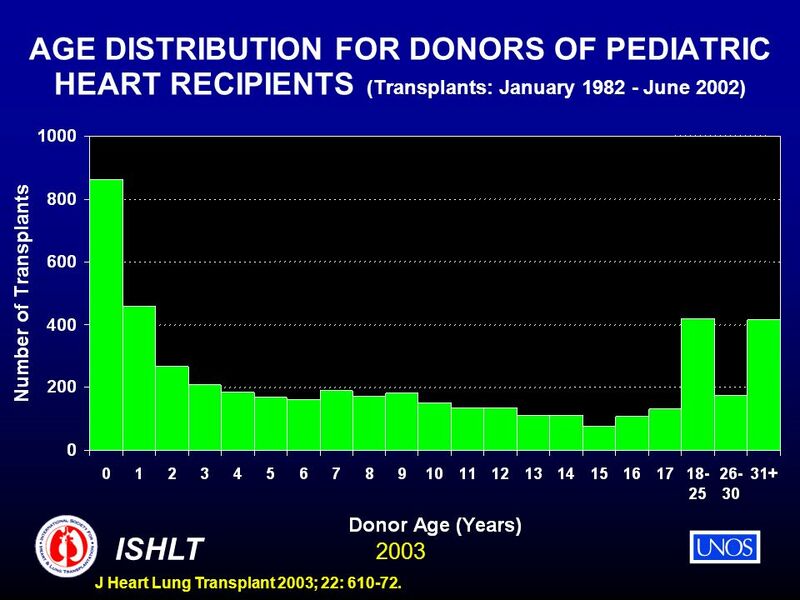 HEART TRANSPLANTATION Pediatric Recipients." 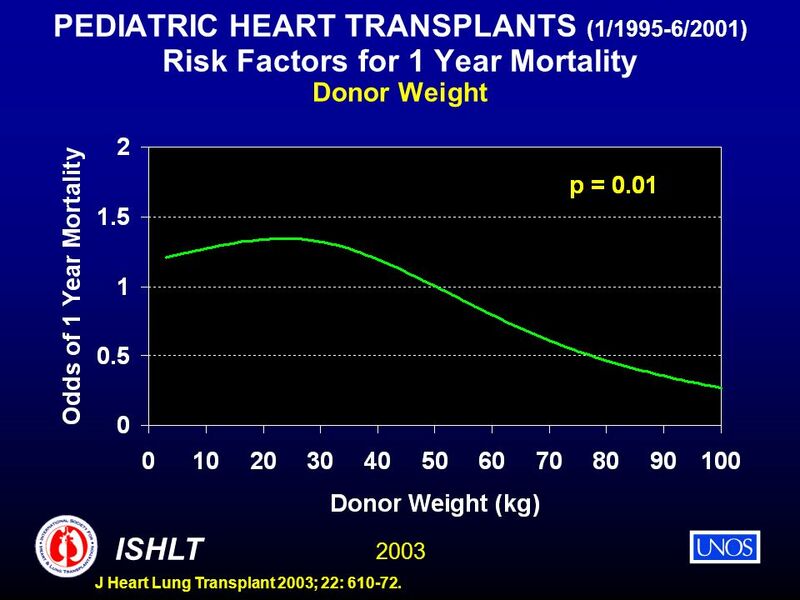 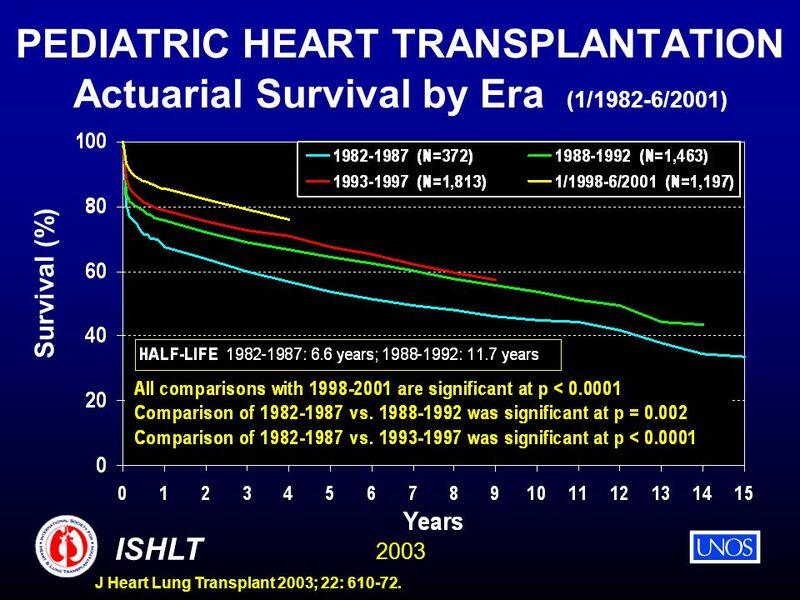 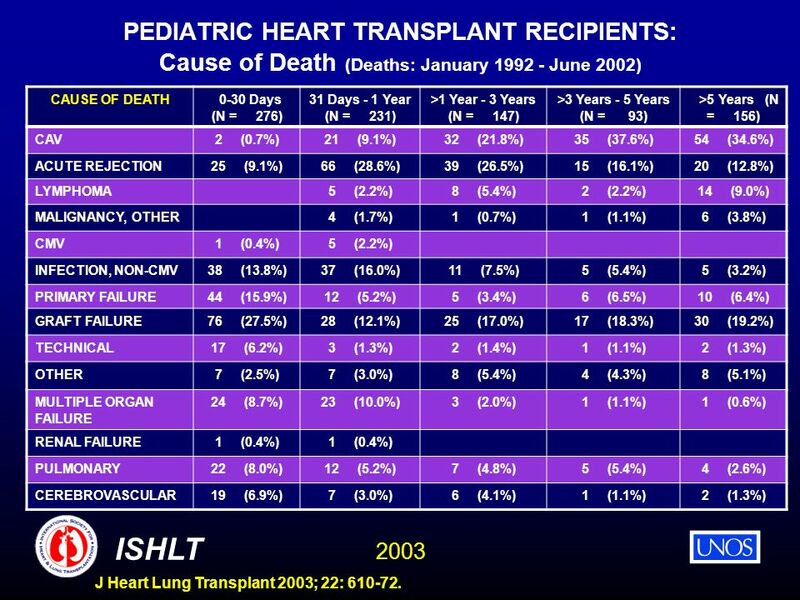 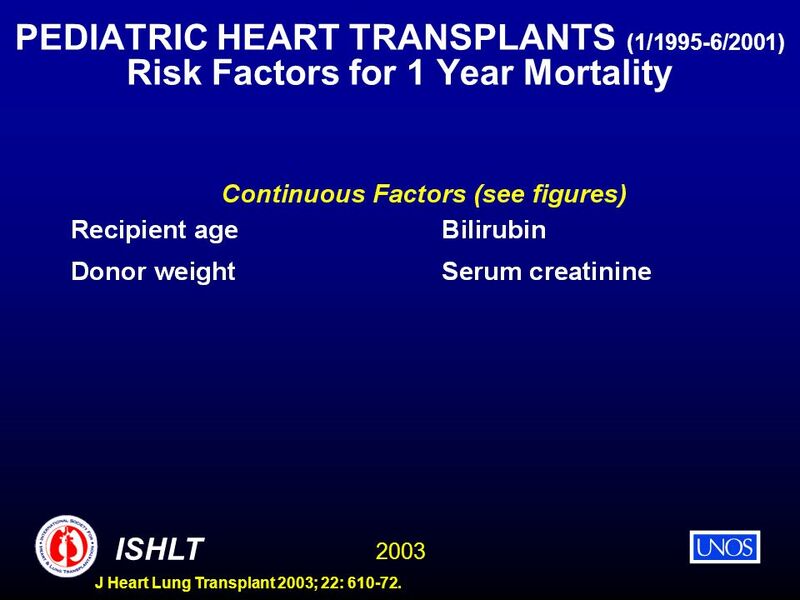 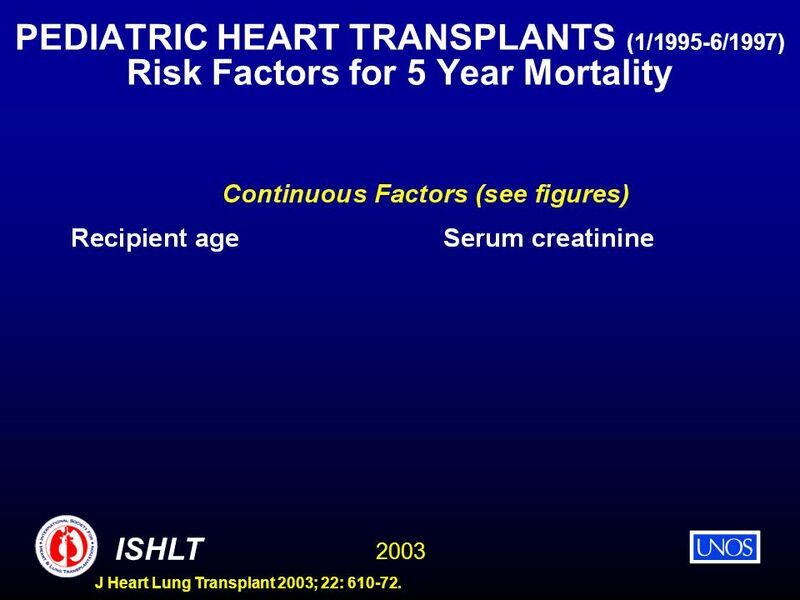 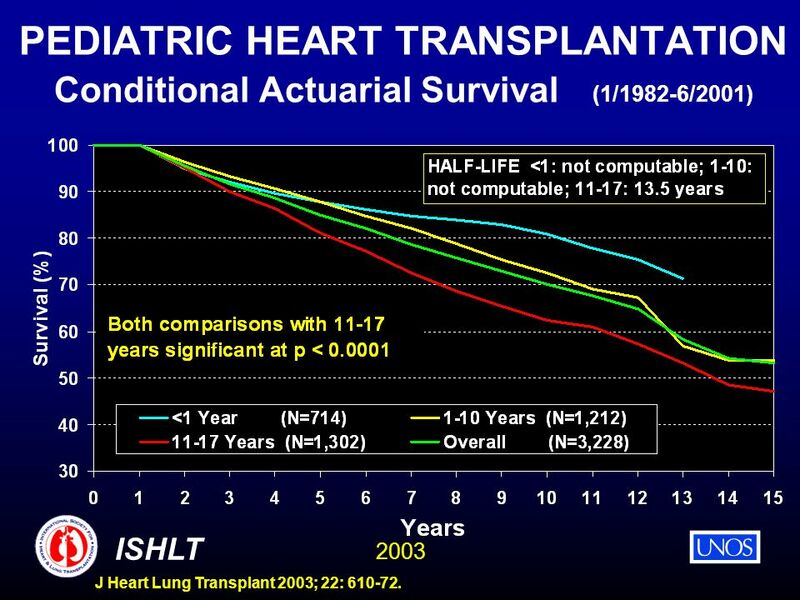 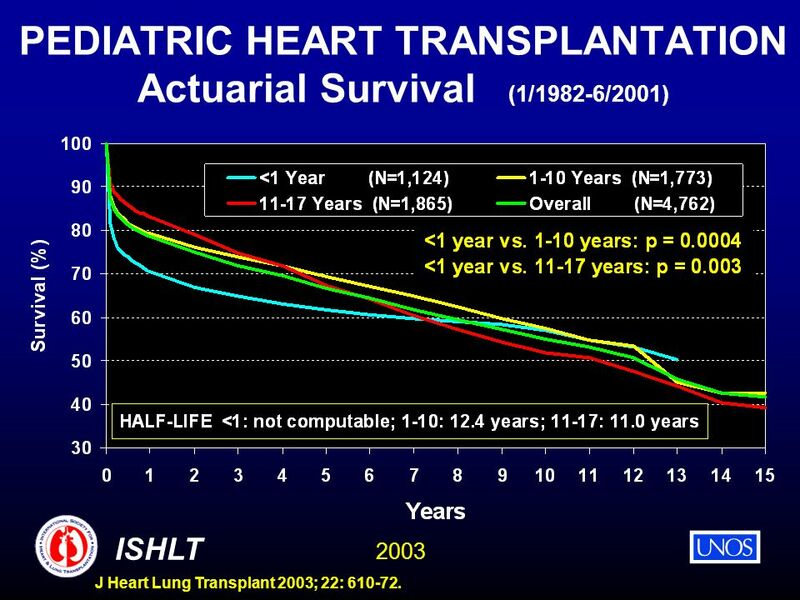 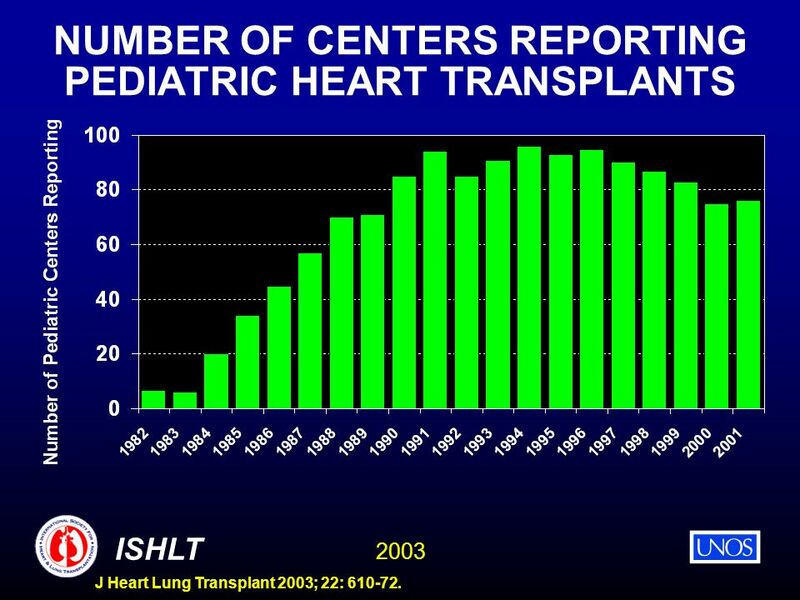 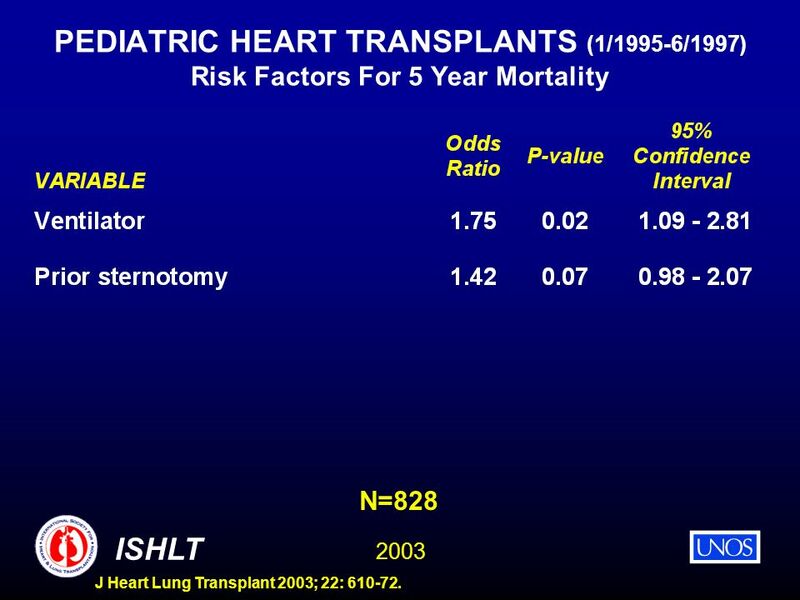 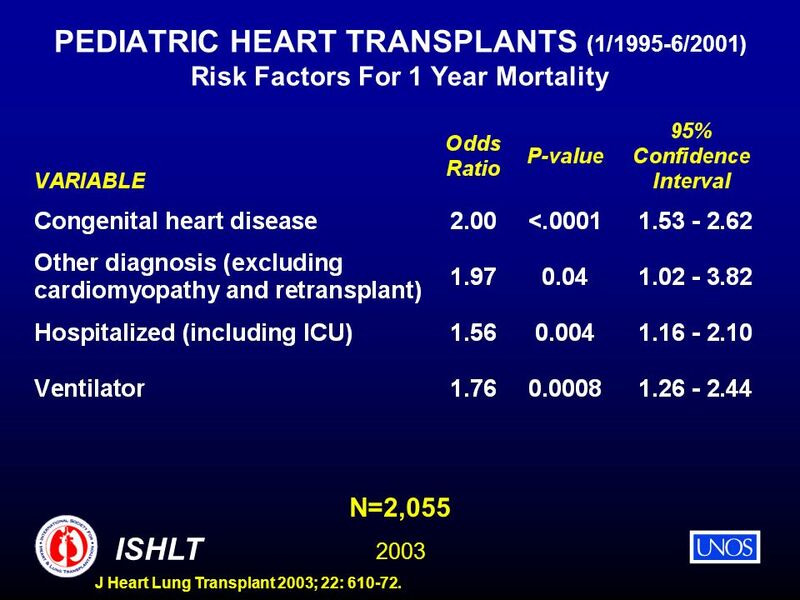 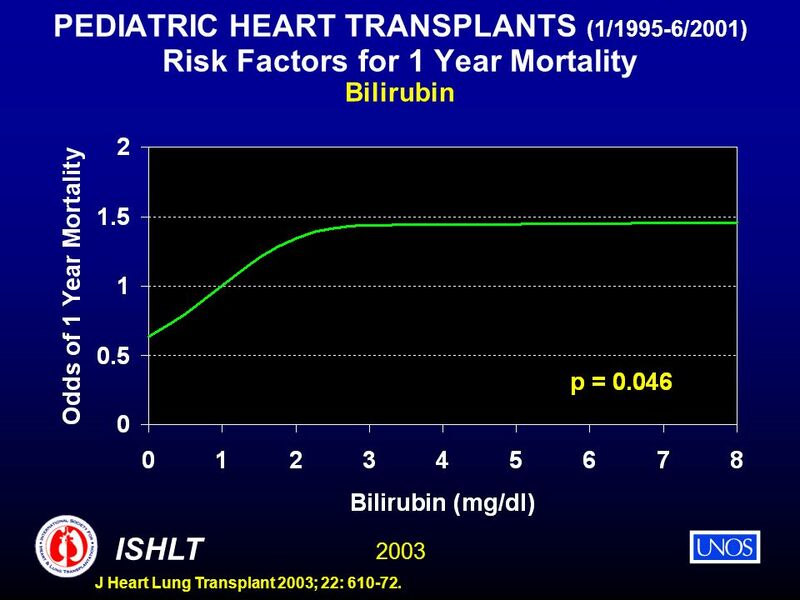 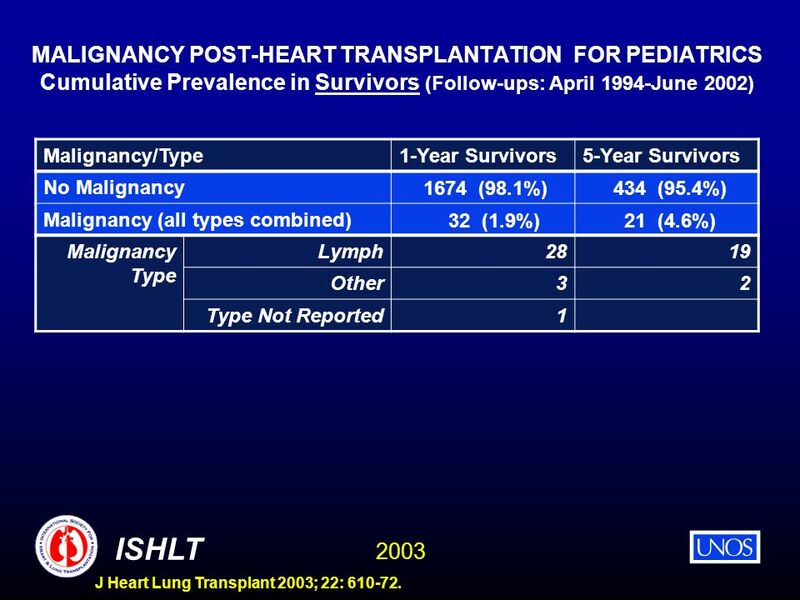 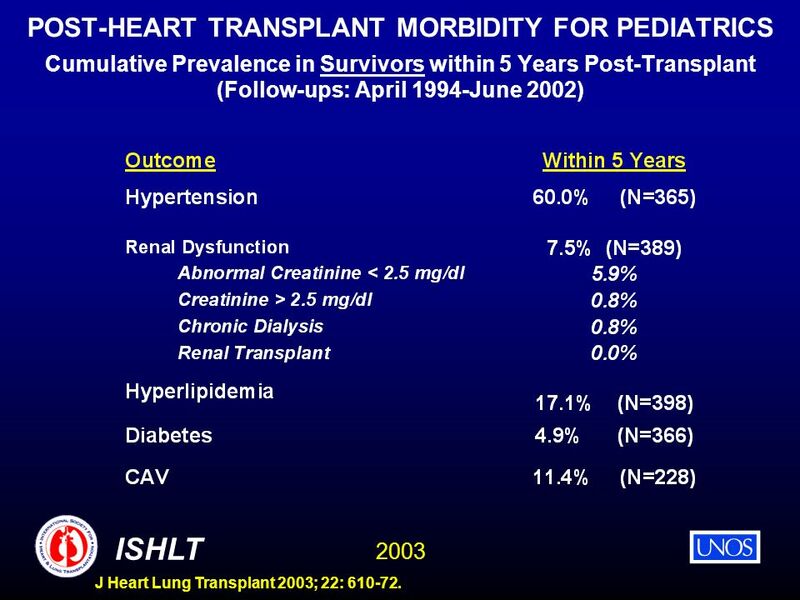 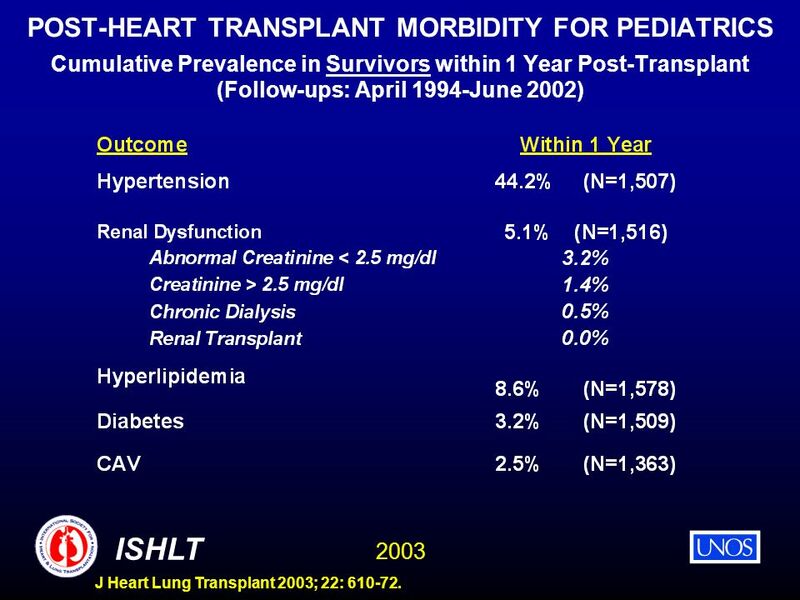 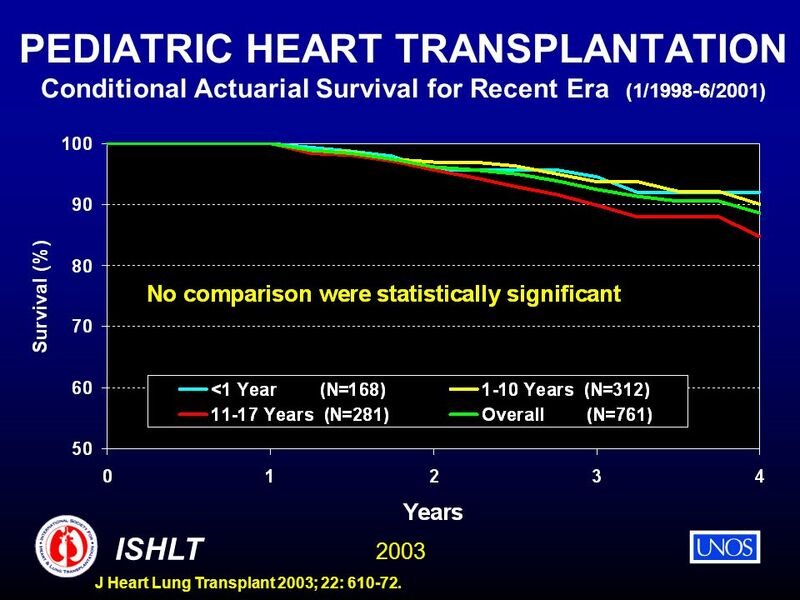 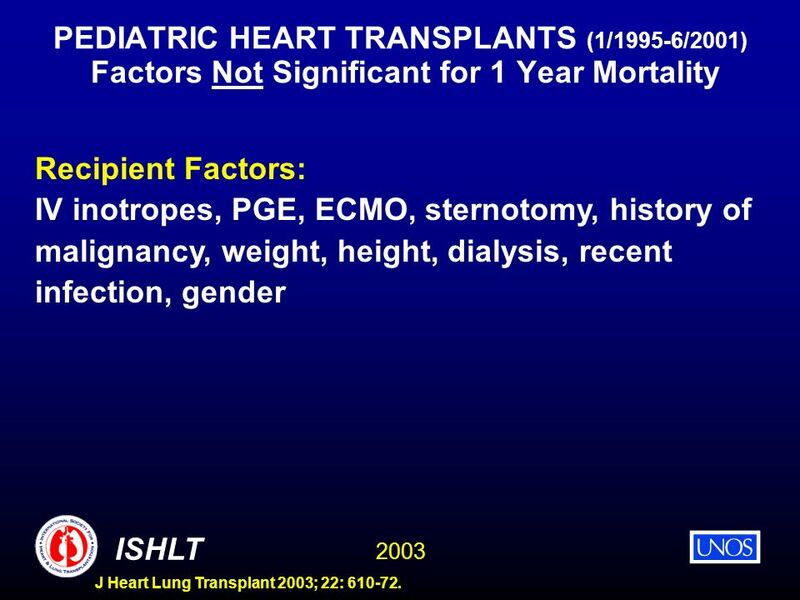 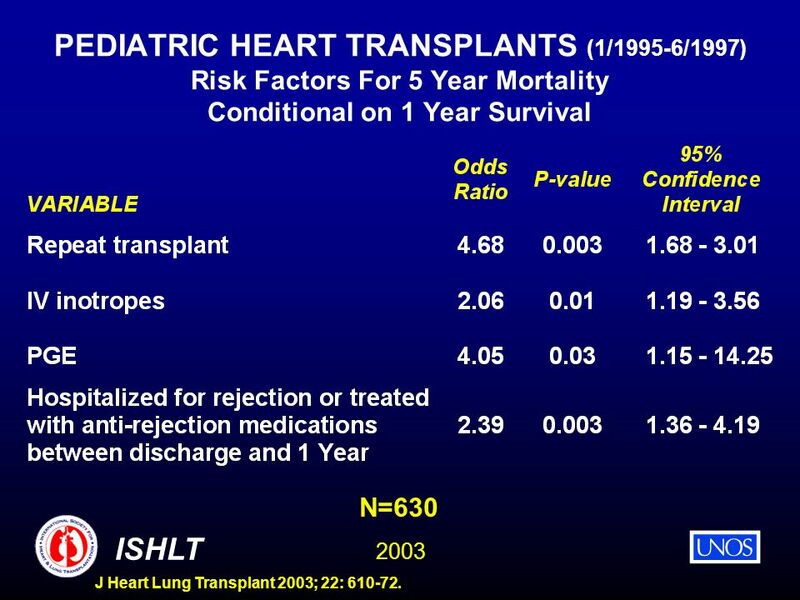 2002 ISHLT HEART TRANSPLANTATION Overall ISHLT NUMBER OF HEART TRANSPLANTS REPORTED BY YEAR * Numbers may be low due to delayed reporting. 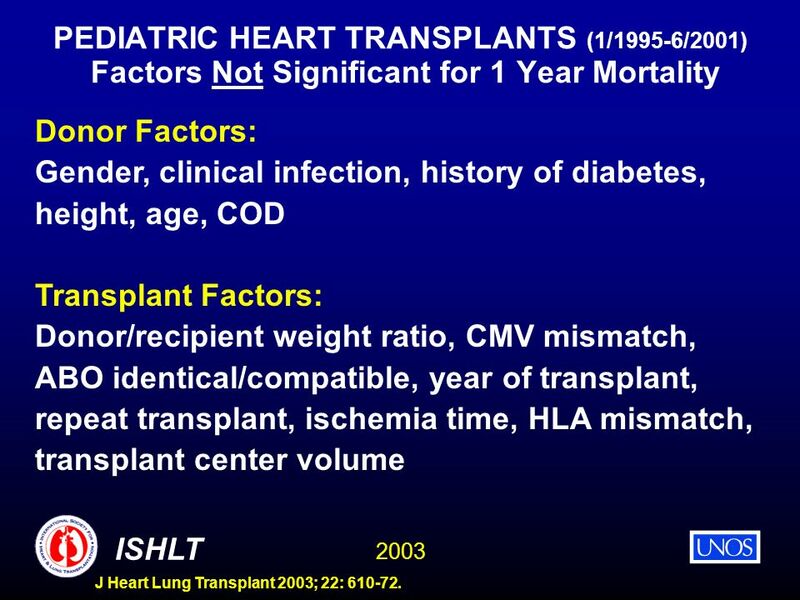 Number. 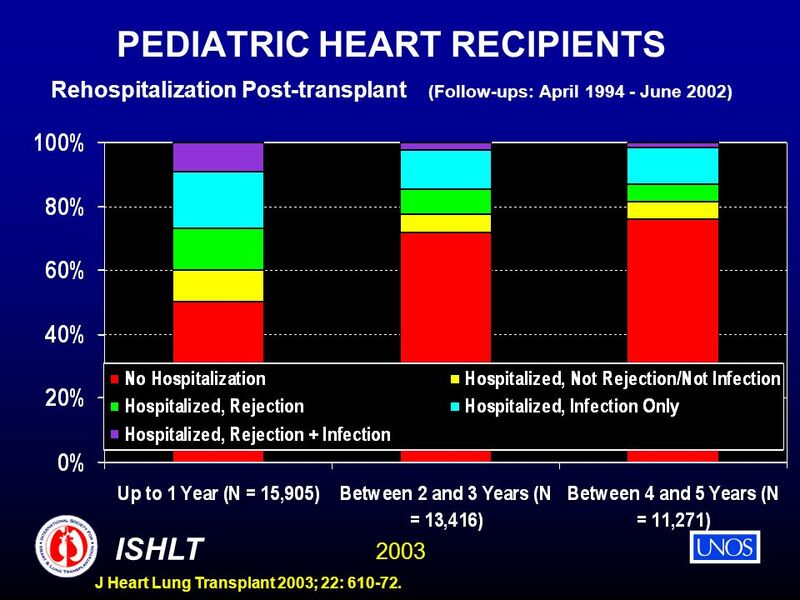 2002 ISHLT J Heart Lung Transplant 2002; 21: HEART TRANSPLANTATION Overall. 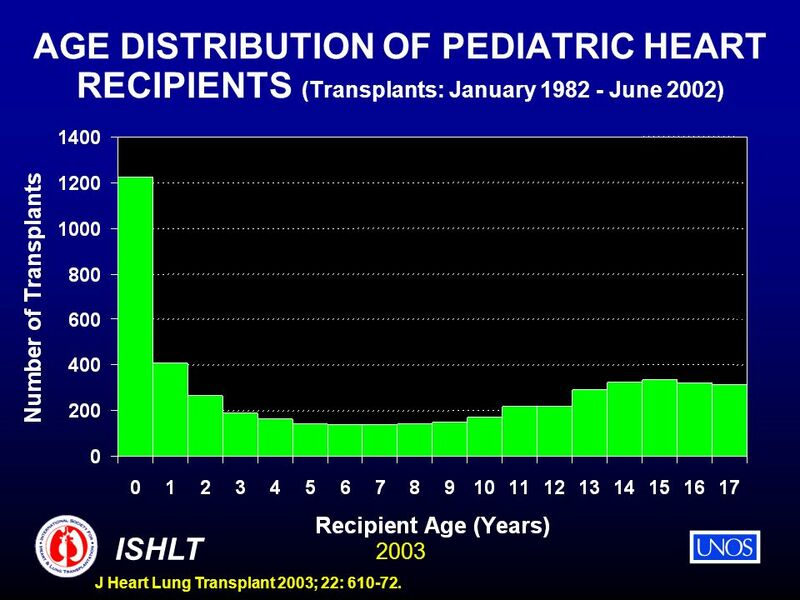 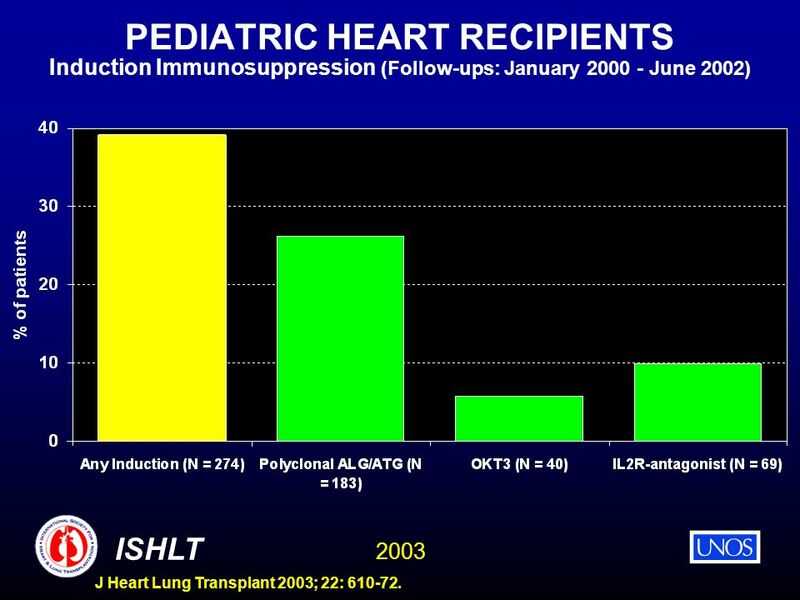 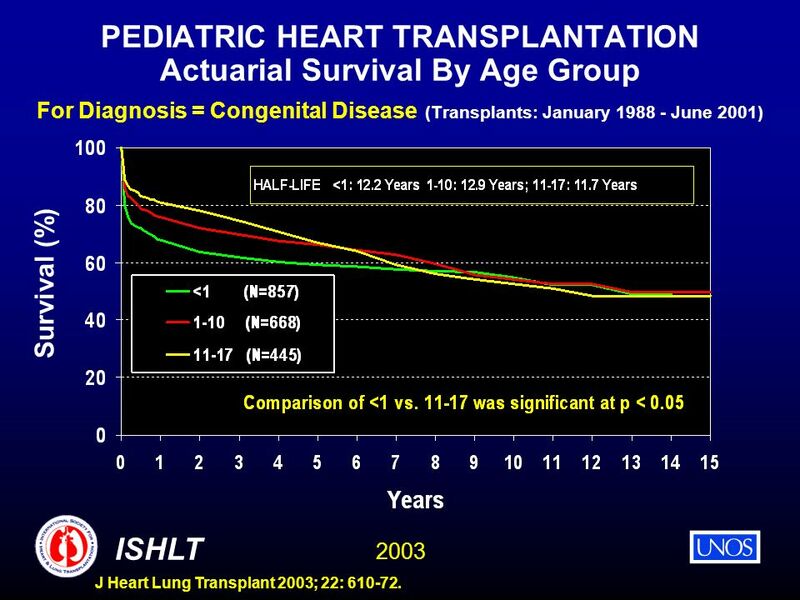 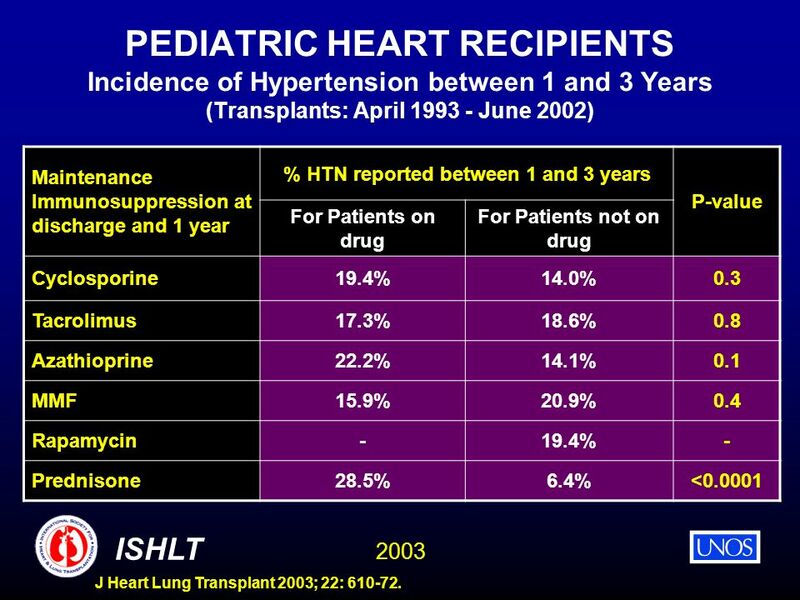 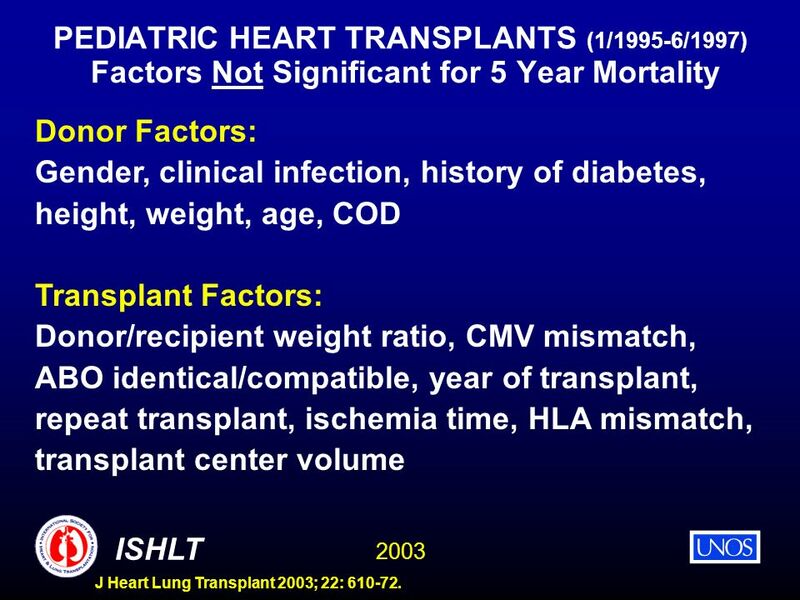 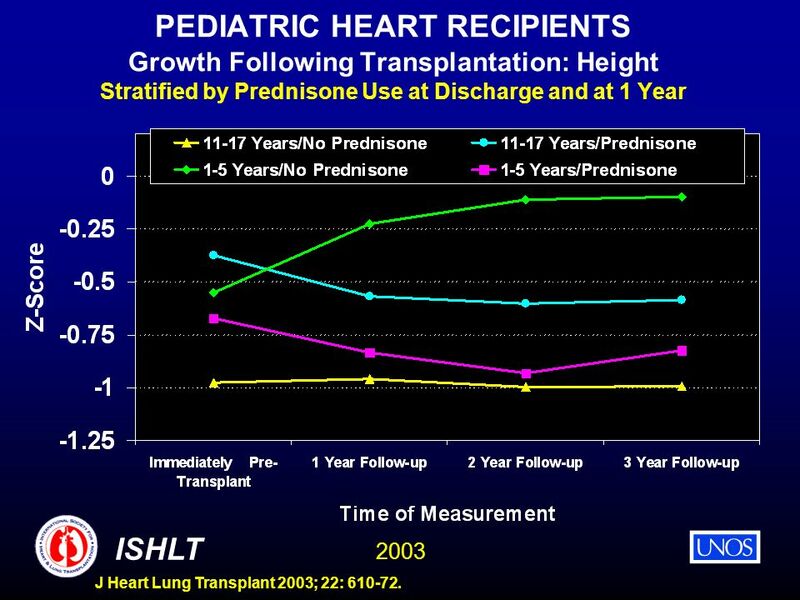 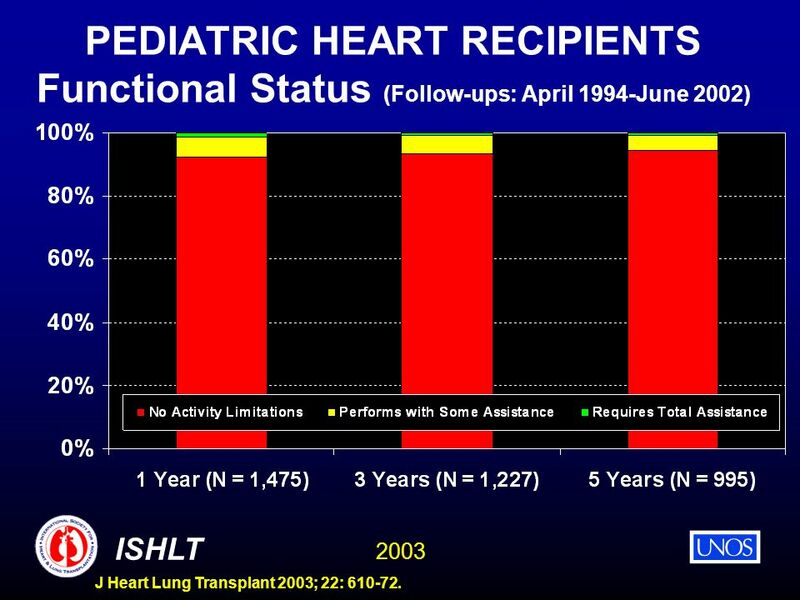 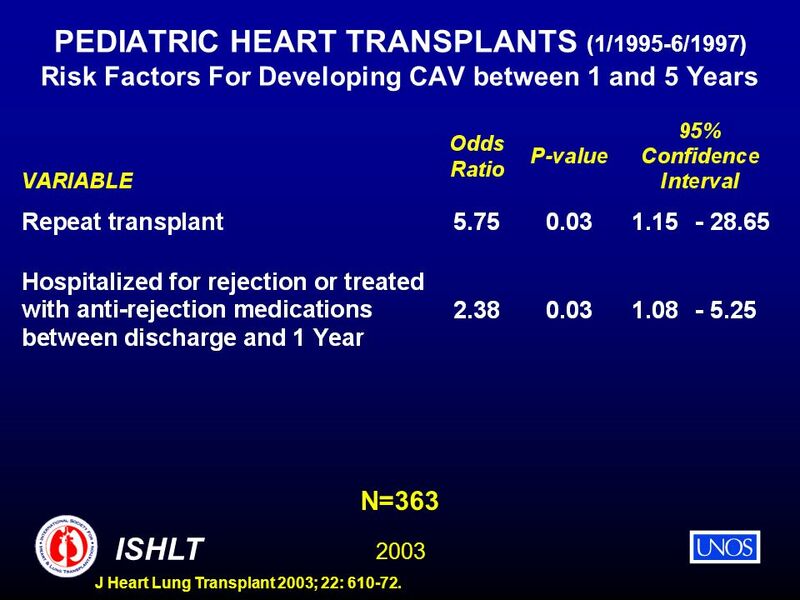 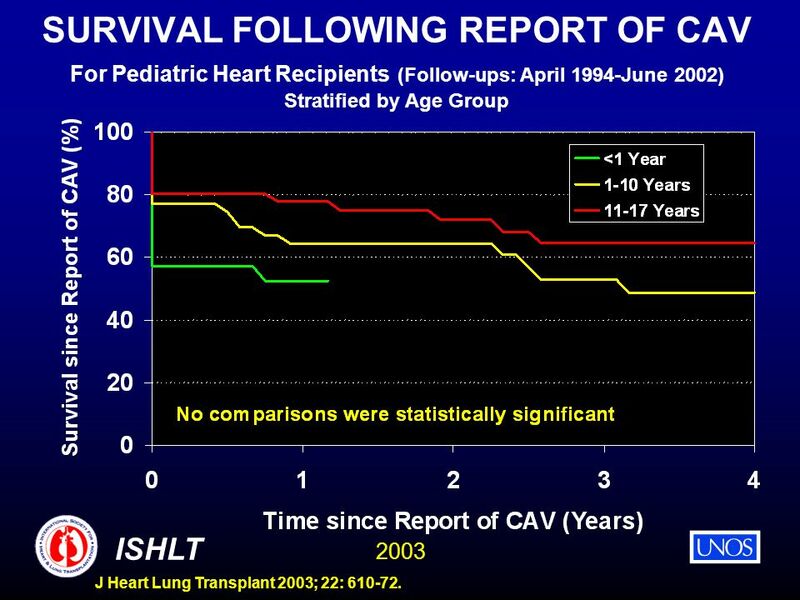 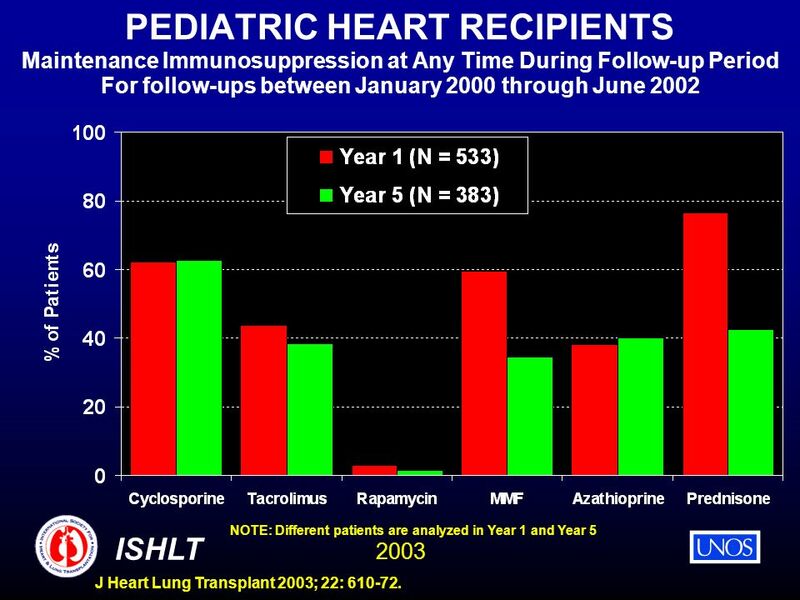 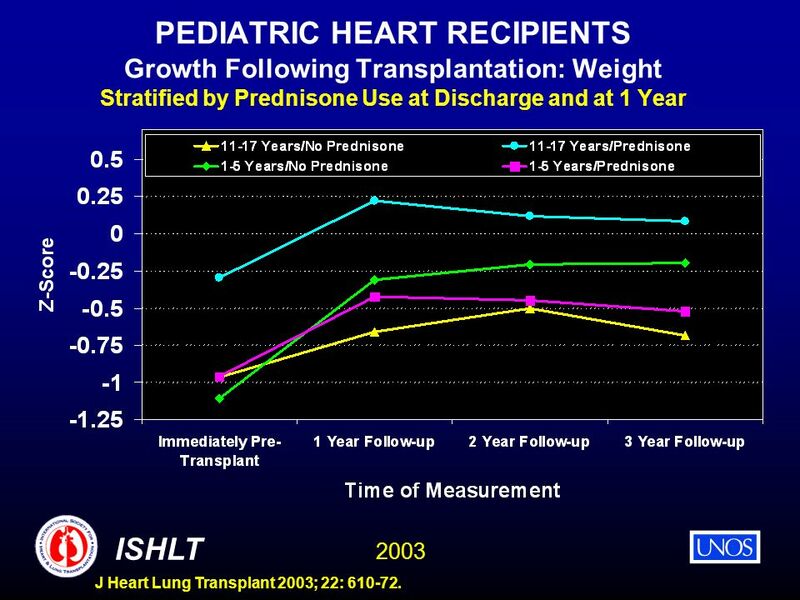 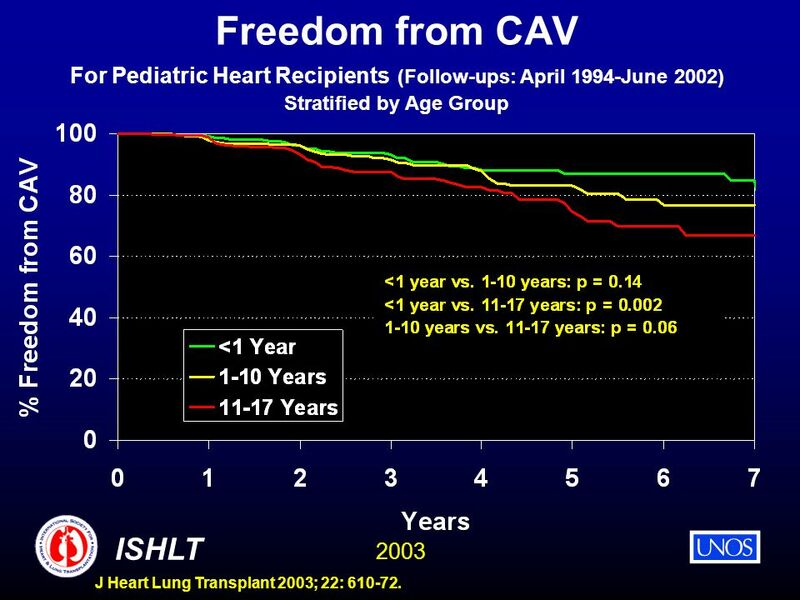 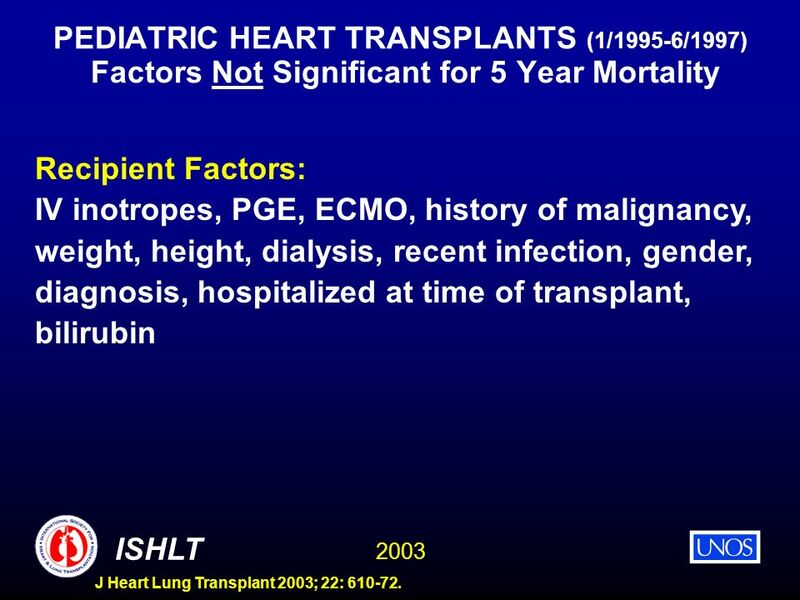 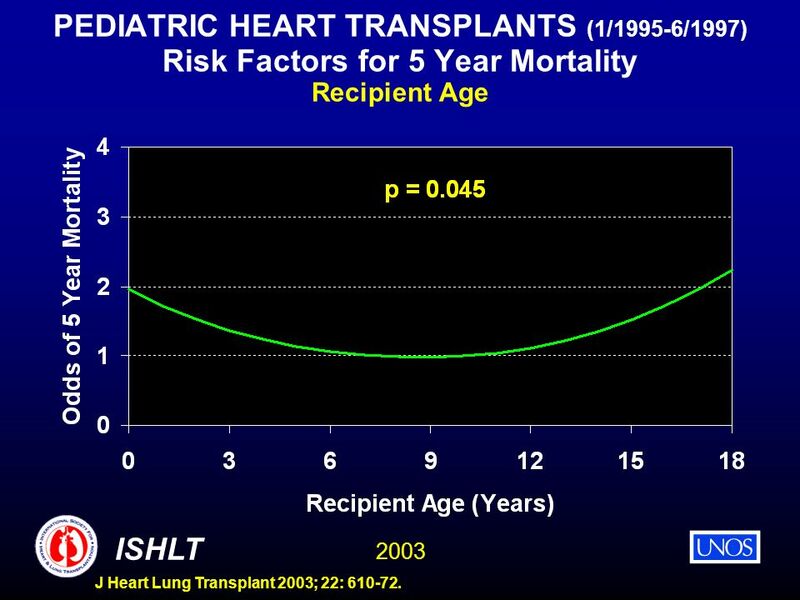 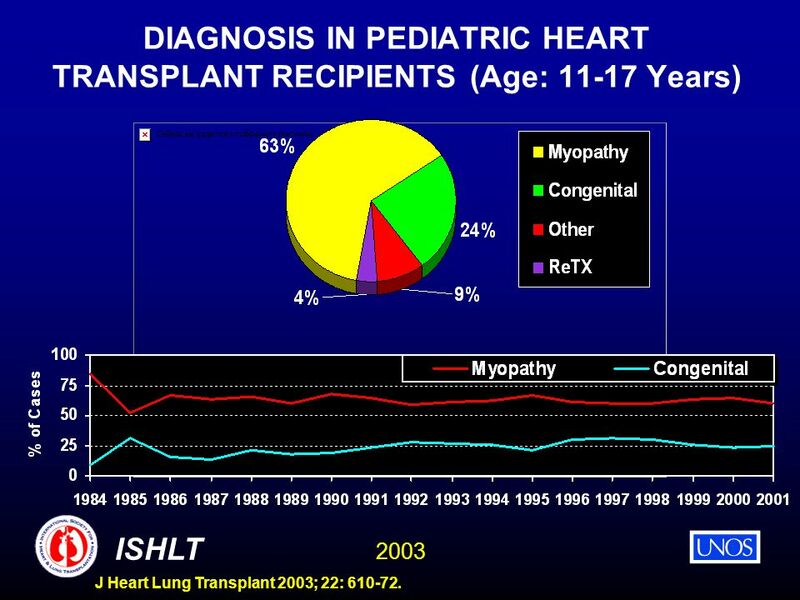 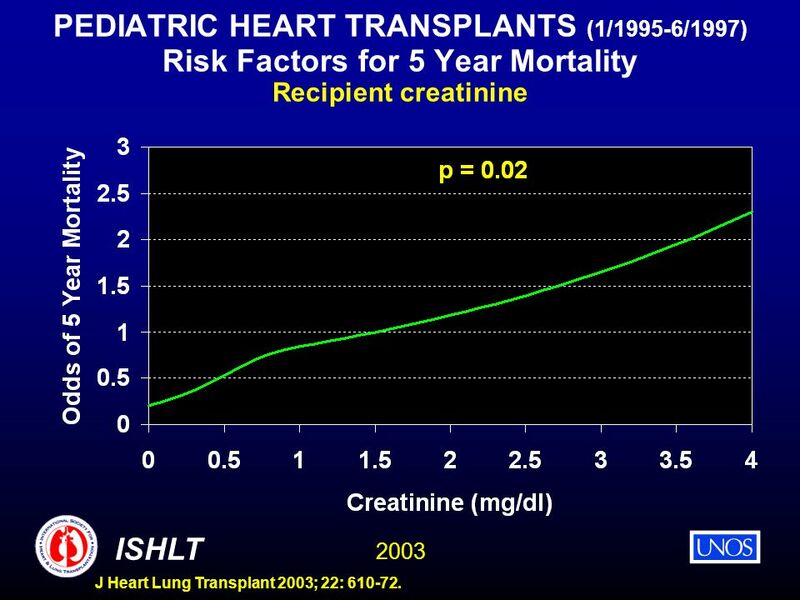 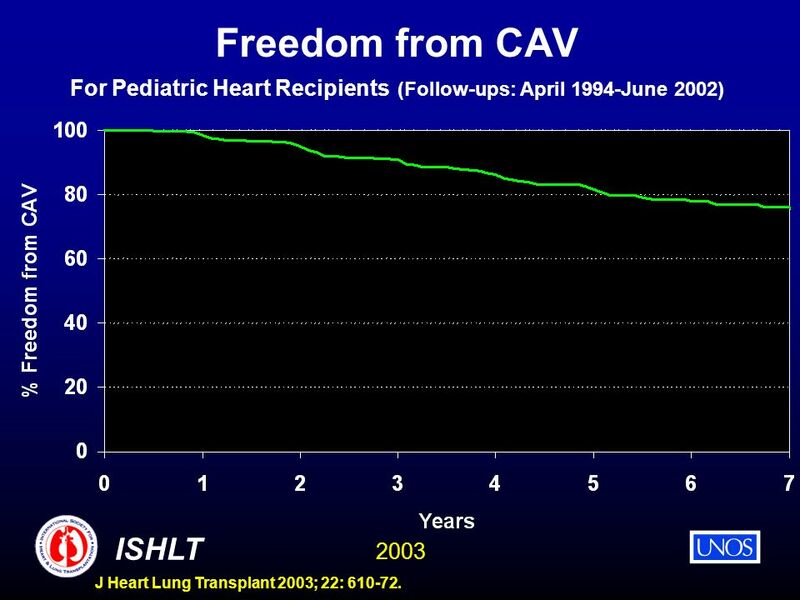 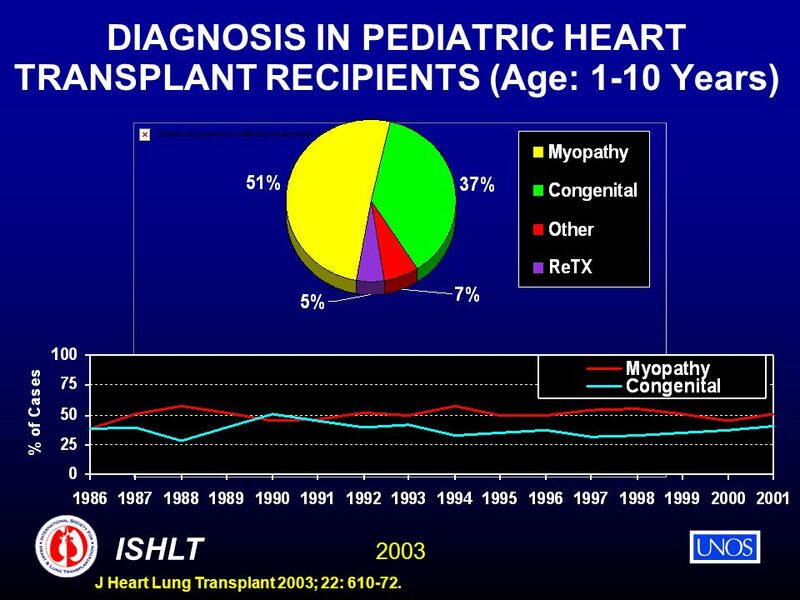 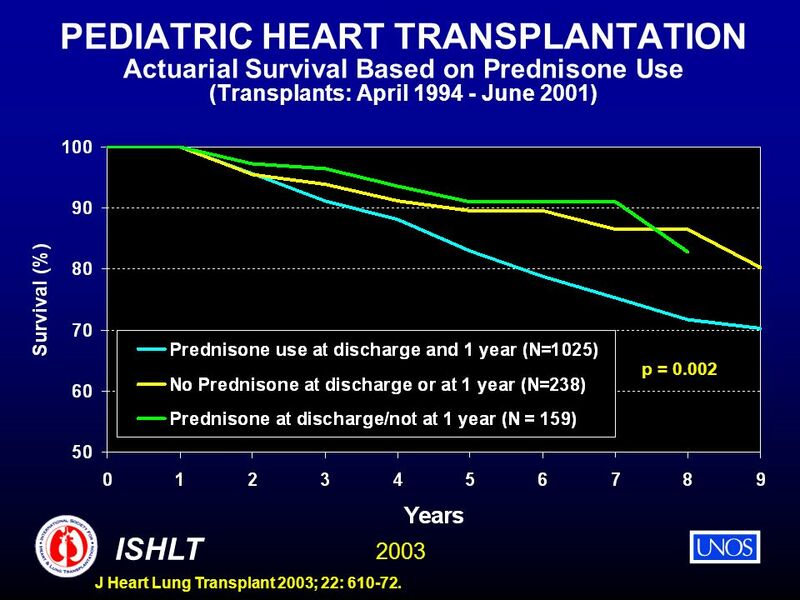 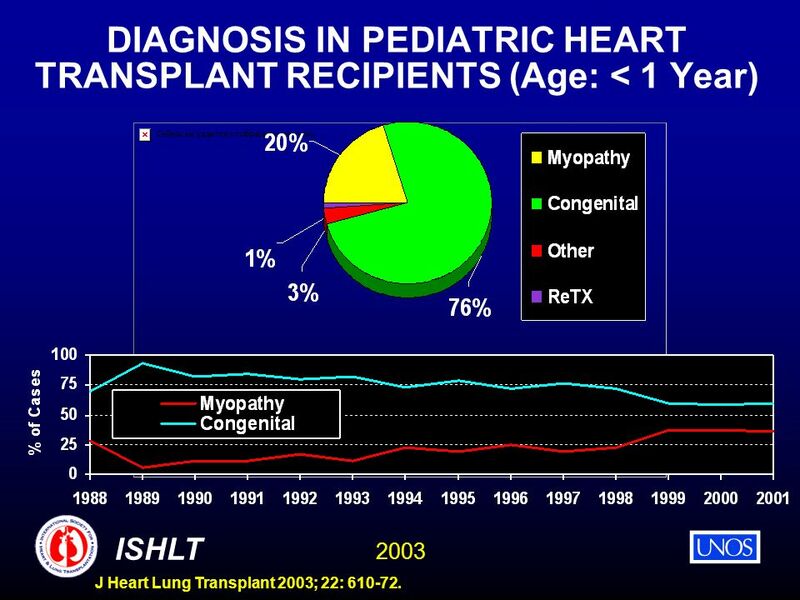 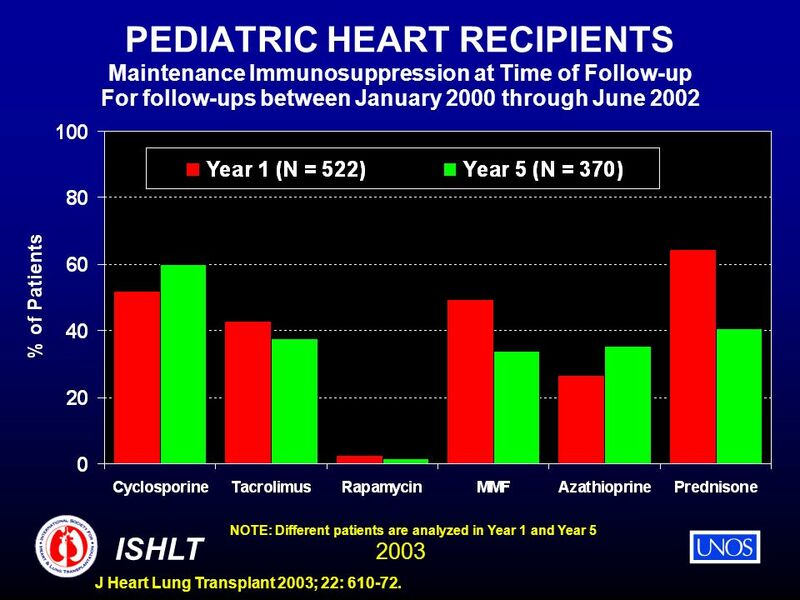 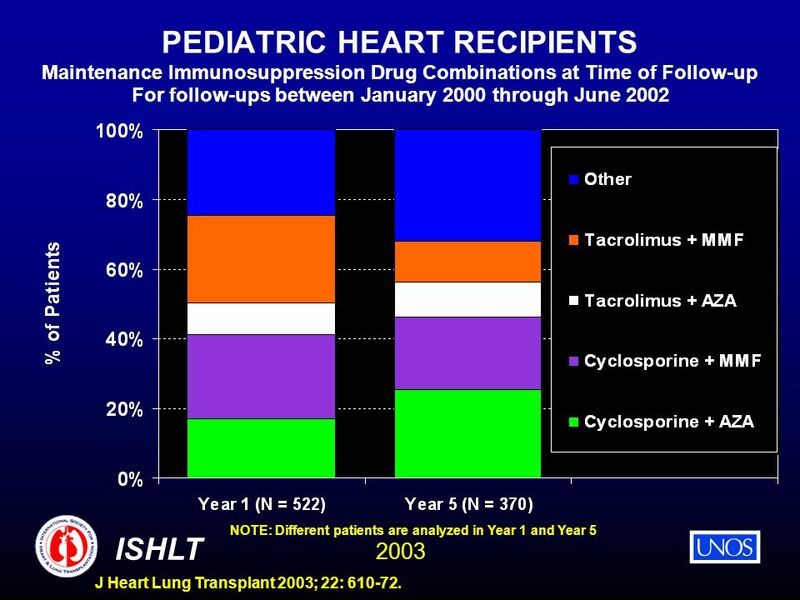 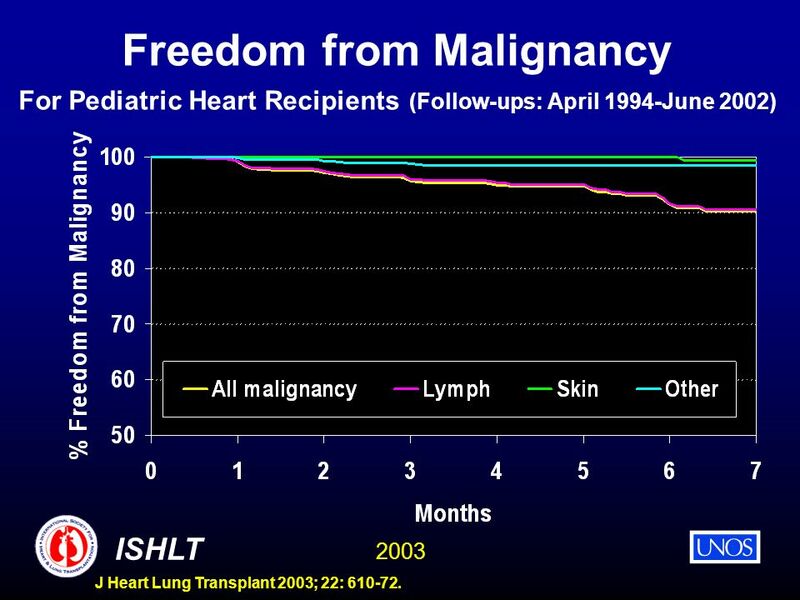 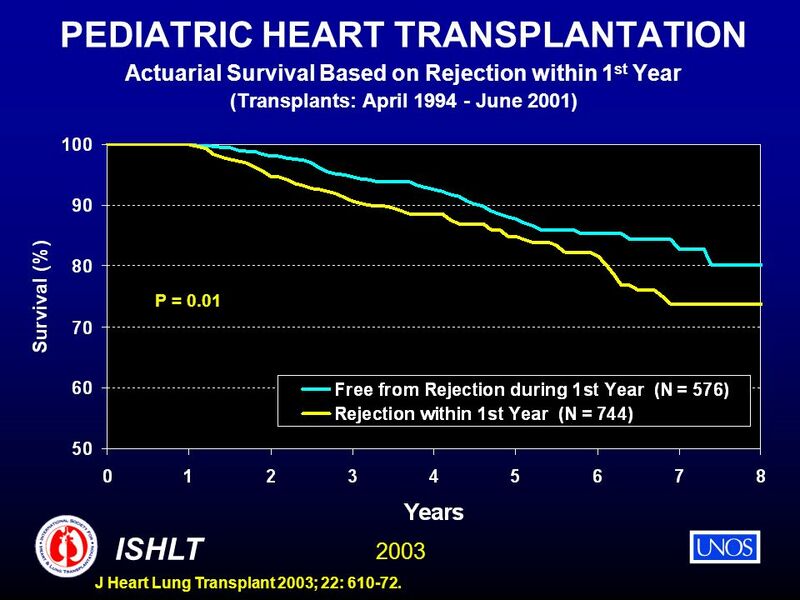 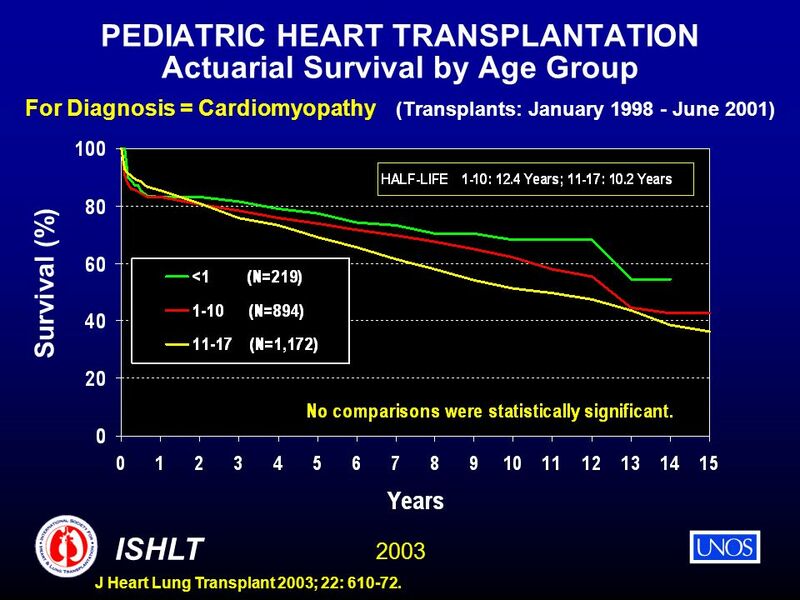 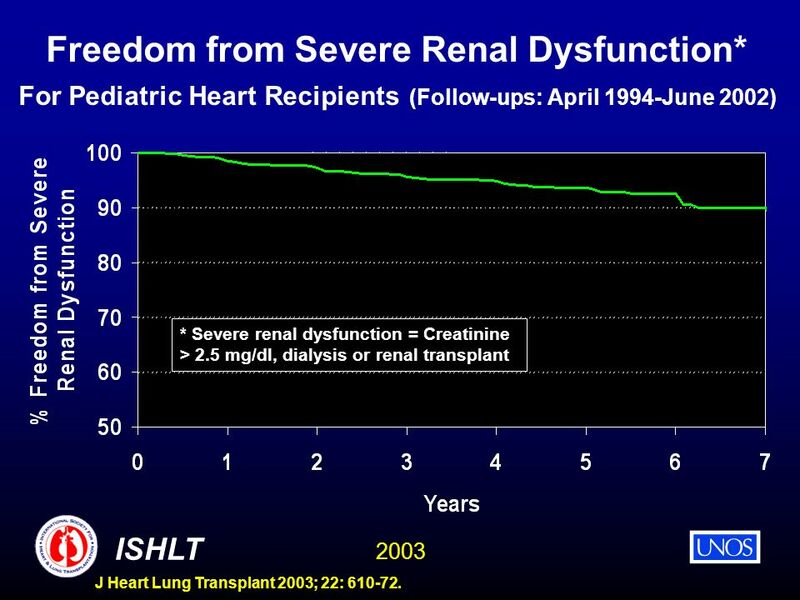 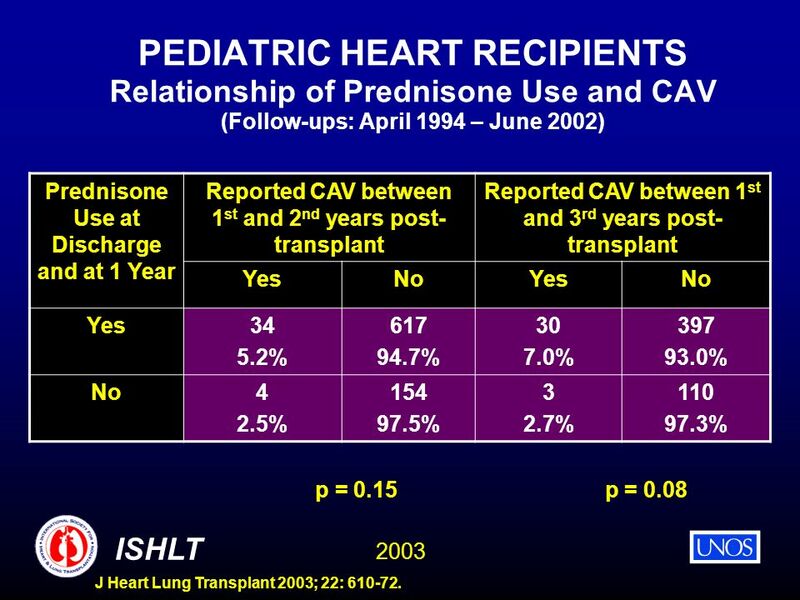 HEART TRANSPLANTATION Pediatric Recipients ISHLT 2008 J Heart Lung Transplant 2008;27: 937-983.